While I normally eschew advice from other parents unless it is requested, because I am a big believer in Doing What Works for You and Your Family, I also like to think that there are certain things we need to indoctrinate them in early on. I am not a follower of religion in any organized sense – you might call me a Deist, or an agnostic depending on the day of the week, the alignment of the stars and so on. I believe in letting people, and that includes children, getting to answers themselves. By and large, it is our job as adults to give them the tools to get to the answers themselves. At least one of them is a pair of runners. 2 Responses to "On the indoctrination of children"
Cute boots! 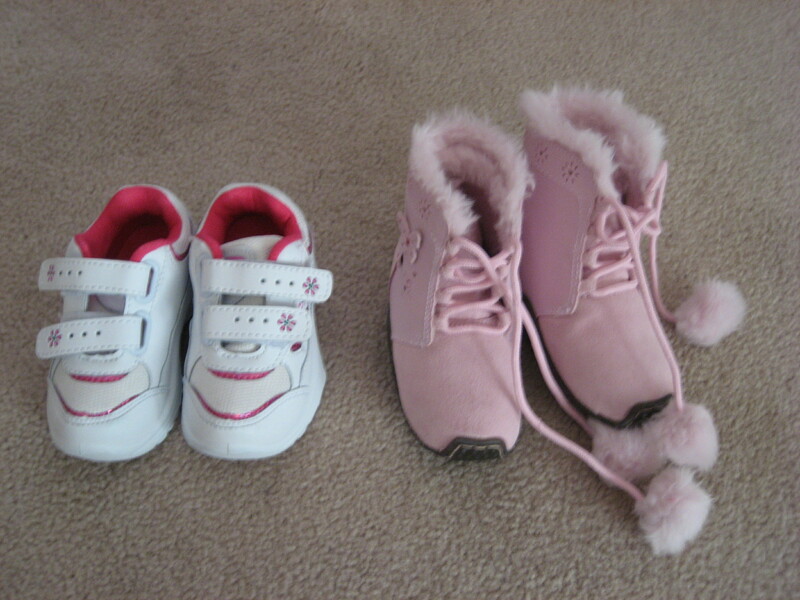 I’m not a huge shopper but I will admit that my daughter is now sporting a cute pair of boots too.